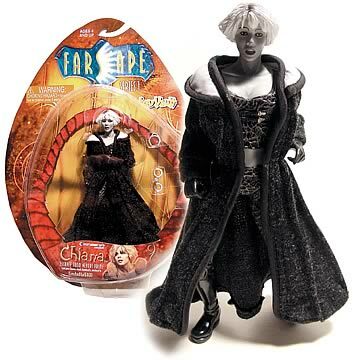 Shopping for Farscape Action Figures? You can only get her here! This girl is a classic from the sci-fi classic series Farscape. The Entertainment Earth Exclusive Chiana, from the episode "Escapee From Nebari Prime", is one of our best selling items, and you can still get her! Standing 6-inches tall, she includes her coat, hand cuffs, and neck cuffs.